Cut lengthwise slices from zucchini using a vegetable peeler, stopping when the seeds are reached. Turn zucchini over and continue 'peeling' until all the zucchini is in long strips; discard seeds. Slice the zucchini into thinner strips resembling spaghetti. Heat olive oil in a skillet over medium heat; cook and stir zucchini in the hot oil for 1 minute. Add water and cook until zucchini is softened, 5 to 7 minutes. Season with salt and pepper. 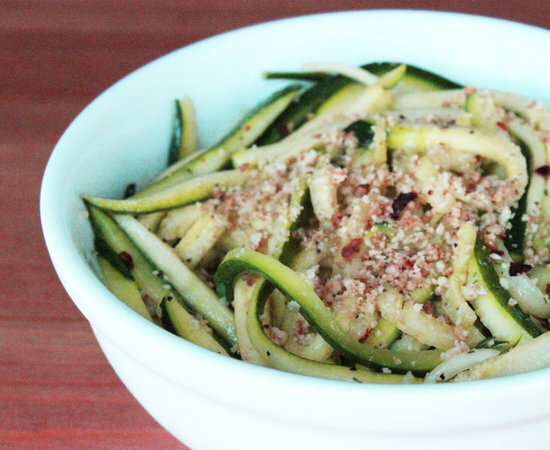 No comments for: "Low Carb Zucchini Pasta Recipe"